The motoring research charity the RAC Foundation has become a sponsor of the Royal Automobile Club’s new Brighton to London Future Car Challenge taking place in November. The Challenge is open to the latest electric, hybrid and low-emission passenger cars, light commercial vehicles and motorcycles. Around 50 entries are expected with trophy awards presented in different categories for vehicles judged to have made the least energy impact during the 60-mile run. 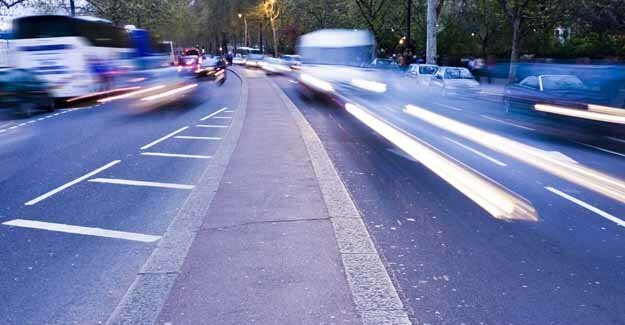 The Foundation regards greener transport as a key area on which to focus research and in March 2010 published Driving Down Emissions – The Potential of Low Carbon Vehicle Technology. With a quarter of all CO2 emissions coming from transport – and 90% of these originating from road vehicles – the Foundation backs the automotive industry’s attempts to make their products increasingly environmentally friendly. The Foundation recognizes much can still be achieved by further refinement of the internal combustion engine which could deliver efficiency savings of 15 to 30 per cent by 2020. In the longer term it is up to the Government to help shape the market for ultra-low carbon vehicles such as those powered by electricity and hydrogen, but the Foundation believes it unlikely that any one technology will provide all the answers. The Future Car Challenge takes place on Saturday 6 November, the day before the world famous London to Brighton Veteran Car Run (LBVCR) and using the same 60-mile route, but in reverse! The formal finish will be in Pall Mall followed by a special ceremonial finish and presentation in Regent Street. Here, the vehicles will join the display of more than 100 pre-1905 motor cars in the LBVCR International Concours in front of an estimated 250,000 audience. The Brighton to London Future Car Challenge takes place on Saturday 6 November, the day before the Royal Automobile Club’s world famous London to Brighton Veteran Car Run (LBVCR). Starting at Madeira Drive, this unique live event will use the traditional 60-mile veteran car run route in reverse. The formal finish will be in Pall Mall/St James’s Square followed by a special ceremonial finish and presentation in Regent Street. Here, the vehicles will join the display of more than 100 pre-1905 motor cars in the LBVCR International Concours in front of an estimated 250,000 audience. More than 50 vehicles are expected to participate in this inaugural event. They will come from manufacturers, institutions, individual motoring pioneers and private owners. The event will be staged, promoted and judged in the three groups – Passenger Cars, Light Commercial Vehicles (3.5 tonne) and Motorcycles and three categories – Electric, Hybrid and Internal Combustion Engine. Within each category, entries will be measured in various modes for the energy used during the drive from Madeira Drive to Pall Mall. The challenge will be to complete the event with the least energy impact. Each of the category winners will receive an engraved Royal Automobile Club trophy and the overall winner will receive the coveted Royal Automobile Club Gold Medal. There will also be an award for the best private entry and each classified finisher will receive a Club medal and certificate. The Brighton to London Future Car Challenge is kindly sponsored by Goodyear and The RAC Foundation and supported by, the Institution of Mechanical Engineers, Imperial College London; City of Westminster, Brighton & Hove City Council, Crawley Borough Council, Central Sussex College and the Regent Street Association. The Brighton to London Future Car Challenge is organised and promoted on behalf of The Royal Automobile Club by Motion Works – the organising team of the annual LBVCR.